The Rubber Cafe Design Team Blog: Spring is Here - not really! Spring is Here - not really! 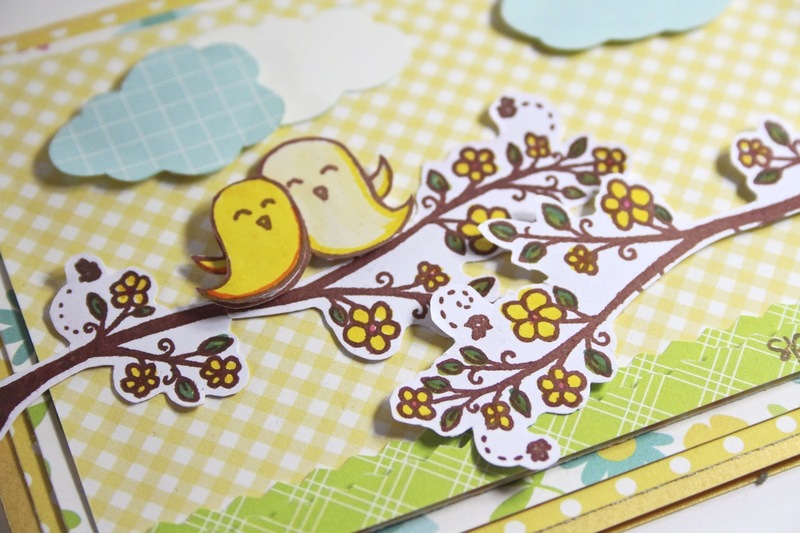 This month's Creative Cafe Kit of the Month - "Spring is Here" is absolutely adorable and spring like. It makes me want to get in the mood for spring. However, Mother Nature is not cooperating. I am capitalizing that because she definitely deserves respect after the winter we have had in New England. 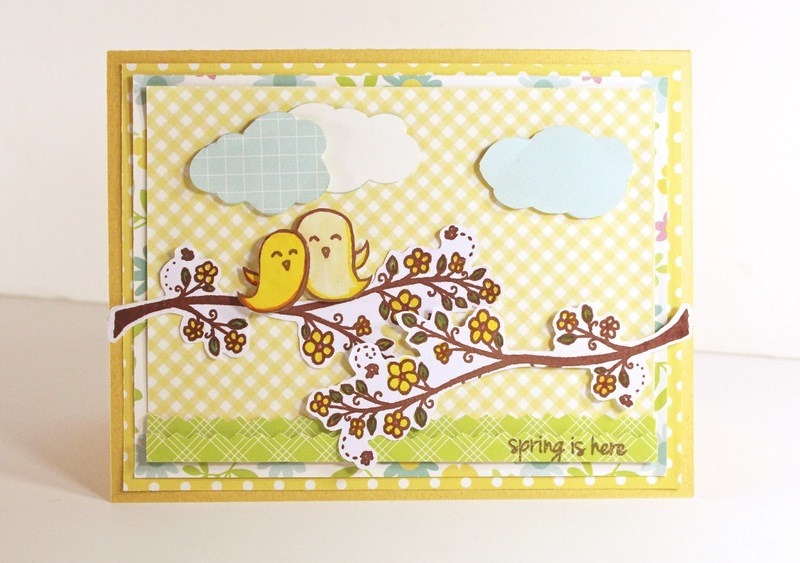 Mary-Ann here, sharing my cute yet simple "Spring is Here" card with you today. I started with an A2 base. I cut my paper so it would fold like you see. Added a few layers of different patterns of paper. I fussy cut the clouds out of the strip piece of Echo Park paper. For the floral branches, I stamped it twice, turning one set of branches upside down for the right side of my card. TIP: In the kit, Melissa provides extremely high quality cardstock. I find it a bit hard to fussy cut such intricate detailing you see on her stamps. You may want to stamp this on a lighter weight of paper, to enable easier cutting. You can see here that I popped the small bird, some clouds and the lower tree branch with Kool Tak foam take for dimension. With an old pair of pinking shears, I trimmed green paper and applied to layers of it at the bottom to replicate grass. I hope you are now wishing for spring too.